College digs can often leave friendships in tatters, from passive-aggressive arguments over the remote control to disagreements born of food missing from the communal fridge. Not so for David Hutchinson and Phillip Rowntree. The pair not only became best friends at college, but they shared a vision that has seen them, in less than a decade, become one of the most dynamic partnerships on the UK theatre scene. 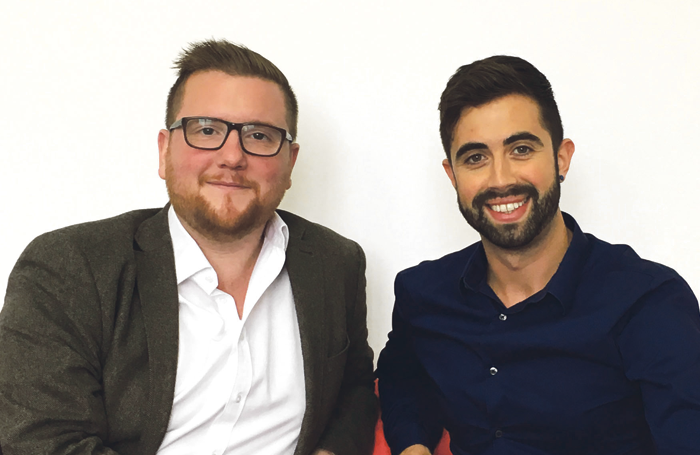 Selladoor Worldwide, formerly Sell A Door Theatre, the company the pair formed as students at the Liverpool Institute for Performing Arts, is now a multimillion-pound operation with a staff of 20, a rapidly expanding UK empire, and global aspirations. It all started in a tiny shared apartment in Liverpool. Within a couple of years, both realised acting wasn’t their calling, and what they wanted was control of their own destiny. Support from a tutor, the late Paul Iles, was instrumental in giving them the knowledge and confidence to start their own company. Hutchinson wrote and directed some early shows, such as Planning Permission and Where the Solitary Eagle Flies, before the team produced its breakthrough production, a first UK tour of rock musical Spring Awakening  in 2011. 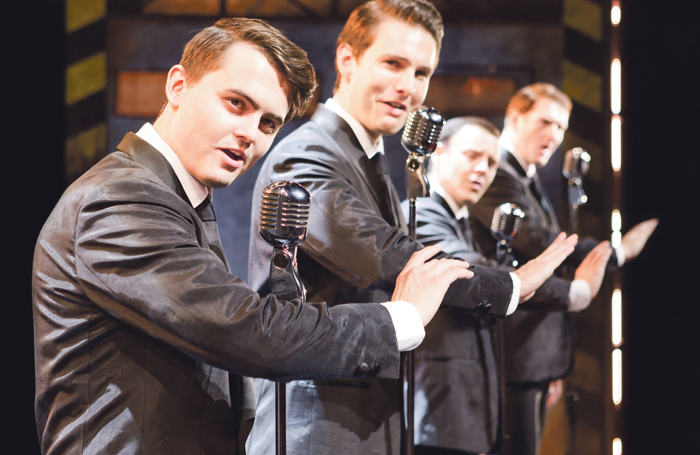 From its modest beginnings the company rose rapidly to national success, particularly in the last three years – Selladoor has successfully toured shows including The History Boys , Little Shop of Horrors , American Idiot , The Crucible  and Spamalot. Now, increasingly global ambitions are also being realised. Selladoor Worldwide has productions of Jersey Boys and The Producers in China, and new offices in New York and Bangkok. 1. Selladoor Worldwide’s London headquarters are on the border of Deptford and Greenwich at the company’s rehearsal space in the Deptford Mission. 2. Over the past two years Selladoor has commissioned three new theatre pieces: The Broons for a Scottish tour, an adaptation of Eric Idle’s The Owl and the Pussycat, and an adaptation of Sam McBratney’s Guess How Much I Love You. 3. The company is preparing to take the first UK tour of Madagascar the Musical on the road. 4. Key partners include Coventry Belgrade Theatre, Grimsby Auditorium, Darlington Hippodrome, Greenwich Theatre and New Wolsey Ipswich. 5. Selladoor has visited seven countries during 2017 – the United Arab Emirates, Hong Kong, Singapore, China, Luxembourg, Belgium and South Korea. Peevara Kitchumnongpan was mentored by Hutchinson during an MA in creative producing at Mountview Academy, and so impressed the Selladoor producer he hired him. Kitchumnongpan, Selladoor’s man on the ground, is full of enthusiasm for his home market and what the company can bring to it – particularly in attracting a new, young audience. At present in Thailand, it’s all about big spectacles and star-driven shows. Kitchumnongpan describes the “end goal mission” as persuading audiences to “come and see the title more than they come and see other elements of it”. Meanwhile looking west, not east, Selladoor has recently put down roots in Midtown Manhattan – thanks to an offer of office space from its Chinese partners in Jersey Boys, and help from Carl Vorwerk, another friend from the producers’ LIPA days. 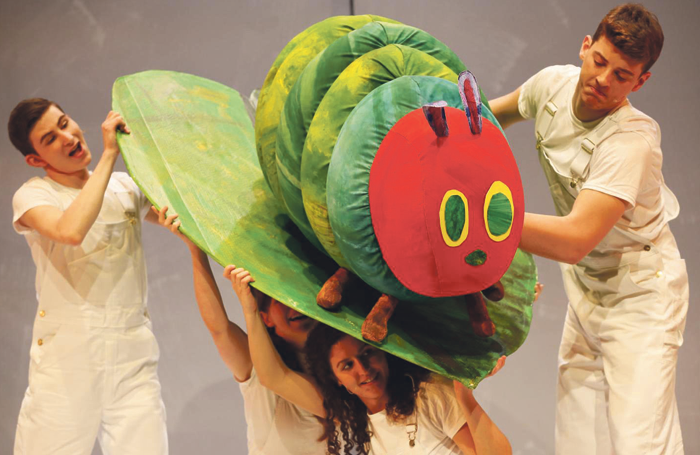 Vorwerk recently opened The Very Hungry Caterpillar for Selladoor at the DR2 Theater in Union Square. Selladoor recently landed a sizeable catch when Frasier star Kelsey Grammer signed up to appear in Big Fish the Musical at London’s Other Palace theatre. Hutchinson, who credits co-producer Richard Darbourne with securing the US actor, saw the original Susan Stroman-directed production on Broadway. He then saw an amateur show in Boston, and realised the more intimate space brought out the heartfelt nature of composer Andrew Lippa’s music better. While it has audience favourites such as Footloose, Flashdance and Spamalot on tour, developing new work is still the company’s aim. There were showcase nights and new-writing festivals during early days at Selladoor’s Greenwich base. And last year it launched a young writers’ programme, working with 10 aspiring playwrights and assisted by award-winning young director Roy Alexander Weise. One of those young writers has now joined the company as a creative intern, himself reading new plays sent to Selladoor. There are two commissions in the pipeline; a musical adaptation, by Julien Salva and Ludovic Vidal, of Foreign Field, a story set in First World War France, and a “new and exciting take” on Frankenstein, in collaboration with Rona Munro. It’s been a decade since Selladoor was born. So, what stands out for Hutchinson from everything it has achieved this far?